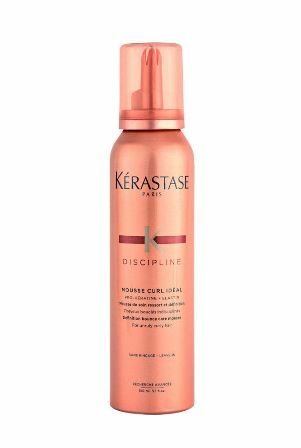 I’ve been a huge fan of Kérastase’s Discipline line since it came out over a year ago, to the point that I hoard my bottles because I’m scared of running out (this stuff isn’t cheap!). 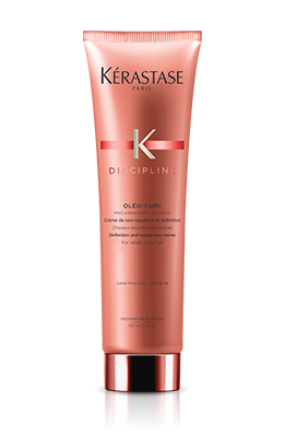 Now Kérastase has added to the collection with their Discipline Curl Idéal line that includes a mousse, cleansing conditioner and styling cream and masque. I got to try three of those and my obsession has only grown. 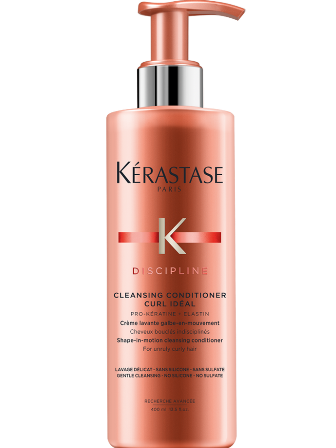 The Cleansing Conditioner is unique in that once it’s sat on your hair for a few minutes, you emulsify it and get a bit of lather, something that’s generally missing from cleansing conditioners. 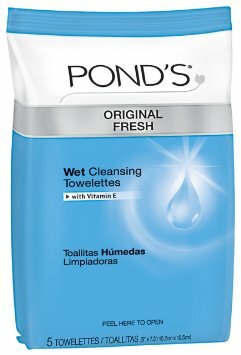 I find this hydrating enough on it’s own and my hair feels clean after but I only use this once every few washes. 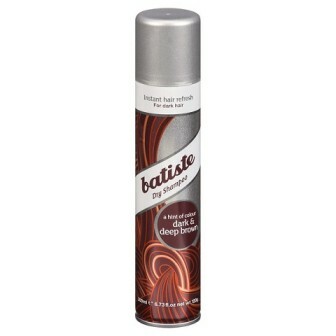 It leaves my hair extremely soft and I definitely notice less frizz. I stopped using mousse a long time ago because even though it’s great for curls, the crunchiness really bothered me. This one however really isn’t crunchy. I was able to run my fingers through my hair once it air dried without an issue and it left my waves really defined. This is my favourite of the three. It’s a styling cream that to me, also doubles as a leave-in conditioner. 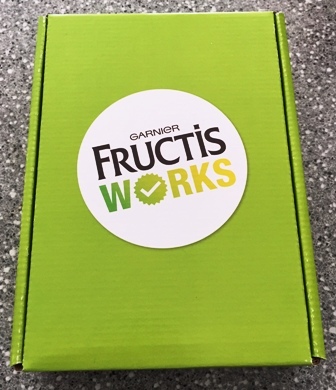 It’s pretty thin and the bottle has a twist off cap, so you’re going to want to hold it upside down when you open it or you’ll have it running out everywhere (trust me, you don’t want to waste it on your counters). 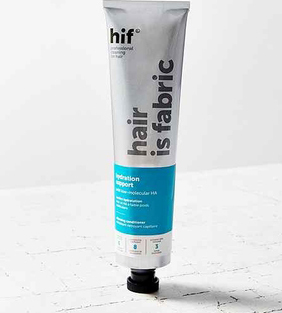 It leaves my hair really soft and doesn’t dry hard. 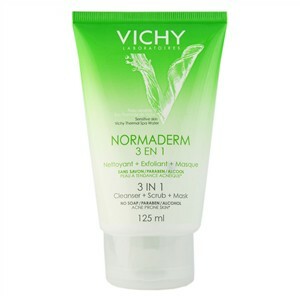 I generally only air dry my hair and this works wonders for frizz and keeping shade without weighing my hair down. You can mix these with the original Discipline line or use them on their own but either way you’ll have the softest, frizz-free curls ever. 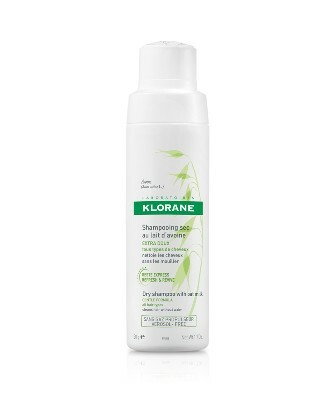 Apparently Klorane has been making dry shampoo since 1971, which is amazing considering I am just discovering them now. I don’t know what I’ve been waiting for. If I was on the fence about believe in dry shampoo before, this one would have cured me of all of my questions. The powder spray is quite heavy. I almost panicked when I saw it in my hair. It all just sits on top of your hair to start. When I finally brushed it through, my hair was left looking perfect. It’s extremely absorbent. Sometimes I even had to use oil on my hair afterwards to put some moisture back in. I wouldn’t call that a bad thing. 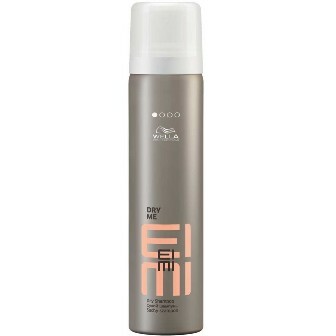 While this dry shampoo looks like many others, it’s actually very different and unique. Unlike most other’s this one is cool. By that I mean it’s actually cold on your head. 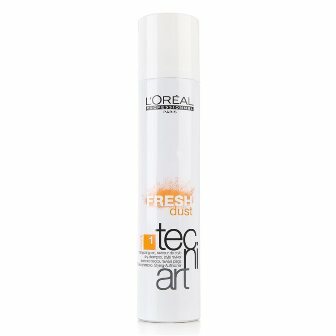 I never thought about the temperature of dry shampoo until the first time I sprayed this one. Because of the temperature, it also doesn’t feel very dry. It does do its job, but in my head it just doesn’t feel right. Wella’s Dry Shampoo does give amazing volume. You don’t have to do much to your hair to get a boost right at the roots, which nice when your hair is feeling limp and oily. Some dry shampoos help keep your hair looking good for a few hours, but this one from L’Oreal lasts all day. It’s also light enough that I feel confident using a bit more than I normally would. The only downfall to L’Oreal’s Fresh Dust is that it leaves a bit of residue on my hair. Luckily, I should probably be washing my hair anyways. My hair is big, thick and sometimes seriously unmanageable. I have spent years dreaming of thin, straight hair. As I grow older I have learned to embrace all of my hair. That means finding products that work with my hair instead of fighting against it. 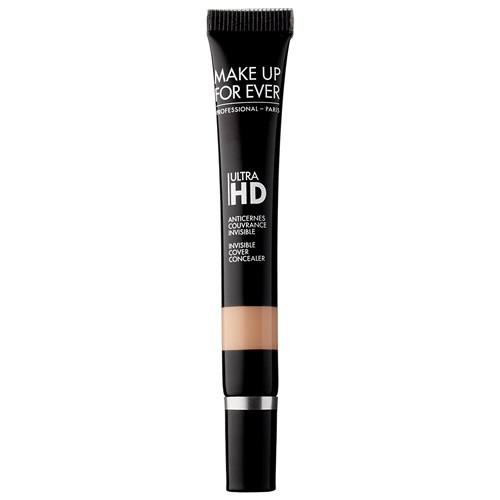 Here are a few products that have been helping through this season. Pantene Airspray – Because I don’t wear hairspray very often, I am quite picky about what I use. I have been using the same hairspray for years. 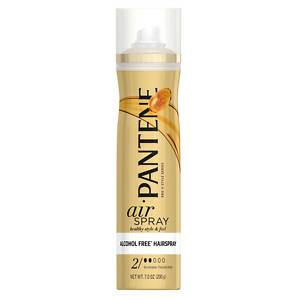 Since getting the new Pantene Airspray, I have been finding myself reaching for hairspray more often than ever before. I used to only use hairspray when I straightened by hair. This hairspray is light enough to use even on my curls. Pantene’s spray doesn’t weight down my waves. It also leaves my hair feeling just as bouncy as it should! I guess I have been just using the wrong hairspray all along. Sebastian Resintek Liquefied Sap – Flyaway hairs be gone with help of this innovative new product from Sebastian hair care. This gooey gel is a wax that you can apply to dry hair to help mold it and shape it into place. I used the sap to help stick down my annoying short hairs that just won’t stay put. The best part about this product is that everyone is going to use it in a different way. It’s flexible and can be used to define and hold your hair as you need. Do yourself a favour and just try it out! 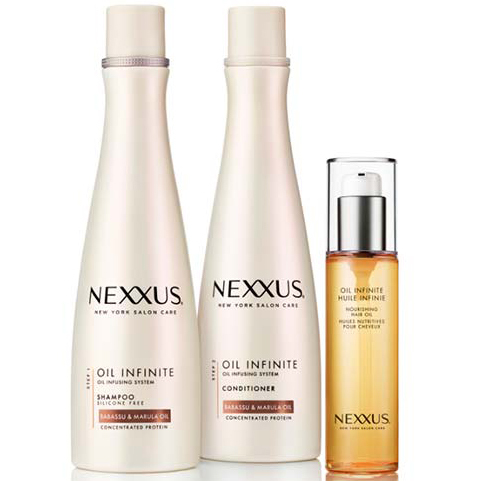 Nexxus Oil Infinite Collection – No one ever has an excuse to have dry hair again now that this Nexxus hair collection exists. With babassu oil, which is a type of vegetable oil from the babassu plant, this shampoo and conditioner packs so much moisture into every wash. After using this line, it was impossible to deny that my hair was shinier than ever. If you still need extra nourishment, there is an oil to help tame frizz and smooth flyaways. My hair isn’t overly dry even at its worst, so this collection was slightly overkill for me. That doesn’t mean I’m not taking advantage of all of this shine while I have it! 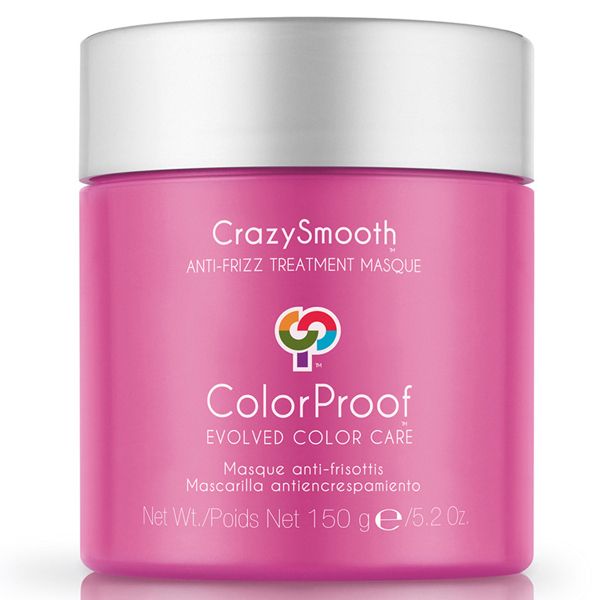 ColorProof Crazy Smooth Anti-Frizz Treatment Masque – I swapped out my regular conditioner for a few weeks to try this masque. With my wavy, thick hair that could have been dangerous. This masque is supposed to defrizz, moisturize and repair. I applied this lemony cream to my hair after shampooing and left it for a few minutes. It left my hair feeling great. I don’t think it made my hair feel any better than my normal conditioner though. Since we are currently in the sweet spot between winter dry frizz and summer humidity frizz, I don’t think I gave it the right chance to really perform. I will be saving this cream for a bit later. Here’s the thing; my hair is a complete pain to deal with. Nothing about it makes sense. It’s fine, flat, dry, wavy, extremely frizzy and generally does what it wants. Which results in me throwing it in a ponytail or bun roughly 99% of the time. I always want more volume but at the same time, my hair desperately needs something to weigh down the frizz, which is a total contradiction. Enter TRESemmé’s new Beauty-Full Volume collection. It starts with conditioner (which I’ve tried before and didn’t like), followed by shampoo and ending with a couple styling products. The premise is that you won’t weigh your hair down by conditioning last and you’ll have super volumized, bouncy hair. Before we go any further, keep in mind that I hate to write bad reviews and try to find the positive in any product. From the very first time I used this system, I didn’t like it. Stephanie and I have clearly been having bad luck with hair products lately (followed by good luck, I promise!) but this system was everything my hair didn’t need. The conditioner/shampoo system did a decent enough job of keeping my hair from drying out, but it could’ve been better. My biggest problem was that Beauty-Full lives up to it’s bouncy volume promise a little too much. My hair literally had zero weight to hold it down, which meant my frizz was the most out of control it’s ever been. It was like having a permanent puffball around my head and there was nothing I could do to fix it. When I’m testing a hair line, I like to only use what I’m given and use nothing but that for at least two weeks. With this collection however, I literally had to force myself to use any of the products and ended after a week and a half. I just couldn’t make myself use them anymore and considering how huge the bottles are, I feel like they’re going to waste. I don’t know how this line will work for others, but I imagine the only people who will have any success with it are people with stick straight, super fine hair with zero frizz. They can have the rest of mine. 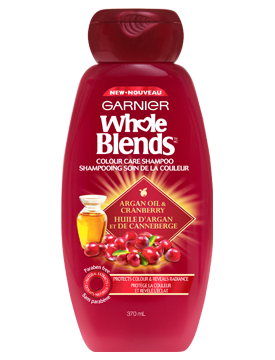 Garnier shampoo and conditioner has been such a reliable standard for so long that I was surprised to hear they were doing something new. If it ain’t broke, right? I used to be a very loyal Garnier hair care user. For a while in college, it was the only line I would use. It was the only thing that could handle my thick, frizzy, wavy hair. The new line is a more natural collection using ingredients that you are familiar with. 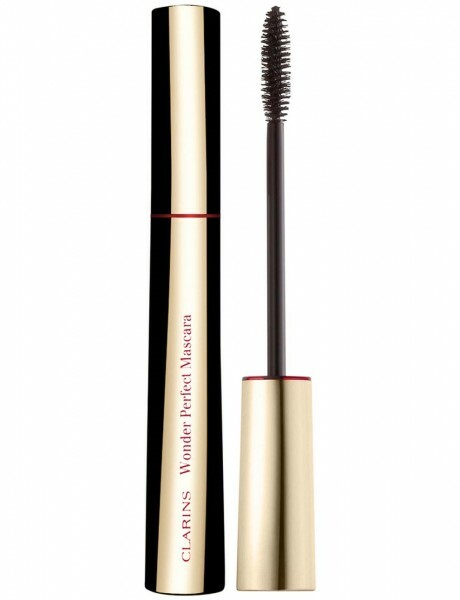 The collections are paraben free, which is nice, but they aren’t ALL natural. They have natural extracts. The idea behind this line actually makes me a little sad. I wish that Garnier wasn’t playing on the more organic and natural trends in beauty. Since this line isn’t all natural, I kind of feel like I am being duped. 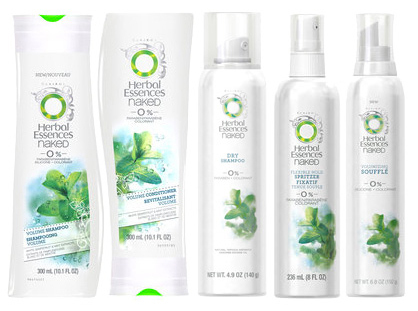 Regardless, I wanted to give them a fair shot, since I have love for Garnier in my heart. I tried the Colour Care line which includes argan oil and cranberry. I was actually really impressed with its performance. The line has a nice consistency and smell. It’s subtle and creamy. My scalp has been so dry this winter and nothing seems to fix it. I was shocked that after a few used to this line and my scalp wasn’t itchy any more. I was so busy thinking about the colour care aspect and whether it stopped frizz, that I almost didn’t even notice how moisturized my hair felt. I have tried a million products. Who would ever believe this Garnier line would be the one to solve all of my issues? Now that I’m hooked, I am excited to try more from the Whole Blends line! In the past year, StriVectin has made it into my top five skin care brands and is one of the few I use on a regular basis. 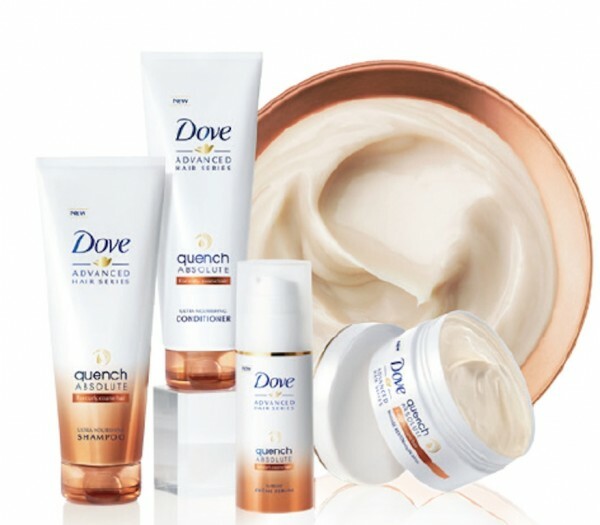 When they announced they were coming out with three hair care lines (more coming later), I was hoping they would have the same results as the skin care products. All three collections have the NIA-114 technology that StriVectin uses in their skin lines, so we were already off to a good start. 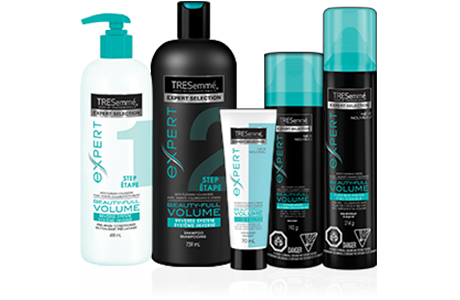 The first collection I tried was the Max Volume made for people with fine or flat hair. I have both but mine is also curly and frizzy (which doesn’t make sense but it’s true). All the collections have shampoo and conditioner plus two extra products; Max Volume’s line has a root lifting spray and a serum. 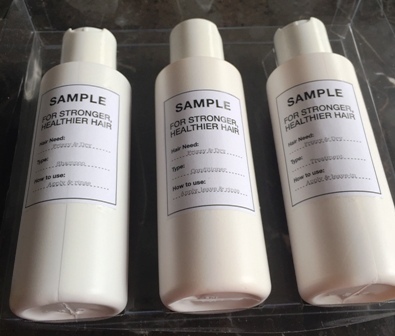 The shampoo and conditioner bottles are exactly the same but the top of the shampoo bottle is the line’s turquoise (each collection has it’s own colour) and the conditioner is white, so it’s easy to tell which is which. 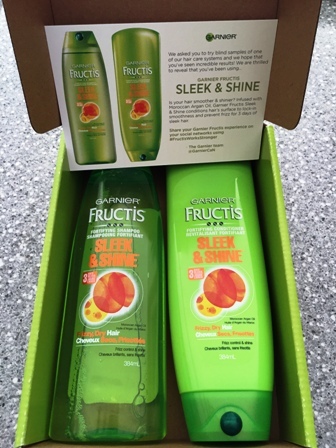 The shampoo gets a really good, soft lather and my hair feels like it’s getting clean without being stripped. The conditioner is a good, medium thickness that doesn’t feel too heavy but definitely moisturizes. 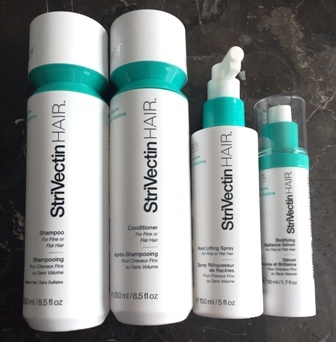 All the products from StriVectin hair are sulfate and paraben free. When I’m testing a new hair collection, I try to stick to only using the products in the collection so I can see how they actually work. Considering there wasn’t anything for frizz or curl calming, I was a little worried to see how it would go but the products actually did a great job taming my hair. The Root Lifting Spray not only gave me added lift but also eliminated a good amount of my frizz. The Bodifying Radiance Serum got rid of the rest of the frizz, while leaving my hair shiny and bouncy. I rarely blow dry my hair so I haven’t tested out the serum’s heat protecting capabilities but it definitely fulfills the volume requirement. As a whole, Max Volume did exactly what the name suggests, my hair got serious volume. But it was also hydrated and I didn’t feel like I had a ton of product in my hair. 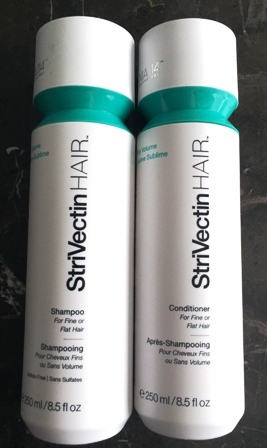 I did occasionally have to use a couple extra products for my frizz and the conditioner bottle is a little hard to work with but I’m seriously impressed with my first experience with StriVectin Hair and I can’t wait to try the next line that’s waiting for me.